Our product range includes a wide range of inductive proximity sensors, proximity sensors, safety proximity sensors and pepperl fuchs proximity sensor. 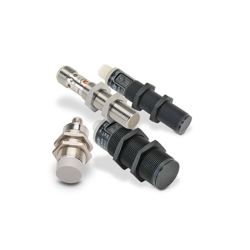 The Pepperl+Fuchs inductive analog output sensors are top of the line industrial components. The unit remains dependable and precise even under non constant ambient conditions. It offers a variety of operational detection ranges from 2 to 5 mm and 3 to 8 mm as well as 15 to 40 mm versions. It's primarily made to detect metallic objects within specific operating ranges. This object distance is then translated into an analog output signal proportional to distance, making these sensors compatible for measuring and control applications. These products are designed to cater to a variety of applications and tasks. By keeping in mind the varied specifications of our respected clients spread all over the country, we are providing Proximity Sensors. 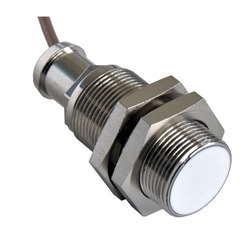 Our offered proximity sensors are manufactured with precision using advance techniques in order to meet various needs of customers. Additionally, a series of quality tests are performed by our quality controllers on these proximity sensors so as to eradicate any defect from this range. Pepperl + Fuchs proximity switches are standardized based on the NAMUR product type. It offers a safe off button function detected by either a control interface or common power line during a sensor malfunction. Also, the sensors used are identified by S1N or SN with a unique protection feature that can be certified only in connection with the proper or preferred CUI. 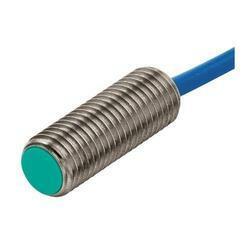 We are a top notch supplier of Pepperl Fuchs Proximity Sensor.